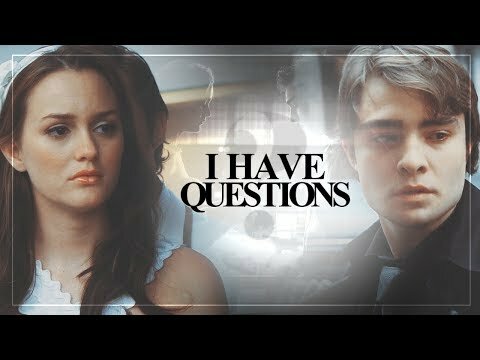 What did u guys think of Dan and Blair as a couple? Who among you have a copy of this picture? Does anyone know what episode this image is from? He makes his son feel secure and loved- can you picture baby Chuck shouting “Daddy!” and happily running into Bart’s arms? Pfft. Never. I mean, obviously. Chuck/Blair has been a near-constant battle. Games were part of the foundation of their relationship ("You and I bonded over a mutual pag-ibig of scheming"), games were part of their undoing. Season 2 is inundated with dialogue about games and stakes, winning and losing. Games + Chuck and Blair's king and reyna pretensions = every chess and war cliche reference in the history of ever. CosmicLoveCB has many, many feels after watching the premiere of the final season of GG. First, it’s been a LONG TIME since we were interested in the story as a whole, rather than just wringing our hands and hoping against hope that Chuck wouldn’t end up killing himself sa pamamagitan ng the end of each episode. So there’s that. We made it, Gossip Girl fandom! We survived the Season of Pacts with God and “Inside.” In fact, “Inside” is so dead and buried at this point, even D-Humps is over it. Group hugs, Dom and peonies for all! 1.18 She decides to be with him when she hears his speech. For anyone who is just tuning into Gossip Girl, allow us to briefly summarize the fifth season. For the first 21 episodes, Nate ran his big boy job, Serena sucked at life, and Chuck was sad. Blair planned a wedding to a royal drip that everyone and their mother knew wouldn’t last–we just didn’t think it would take THAT long. Blair was pregnant and then…wasn’t. Blair went straight from being married to the Prince of Monaco to having the most boring relationship ever with the King of Douche, Dan Humphrey. Nate: Took you long enough. And I'm not talking about the walk from the lobby to here.